When water on one side of a membrane contains more dissolved solute than water on the other side, one of two things will happen. If the solute can diffuse across the membrane, it will. If the membrane is impermeable to the solute, however, water will diffuse across the membrane instead. The latter phenomenon is called osmosis. Tonicity is a measure of the relative concentration of non-penetrating solute on either side of a membrane. It uses the same units as molarity or osmolarity, but unlike these other measurements includes only non-penetrating solutes in the calculation. Determine the number of moles of solute. A mole is 6.02 x 10 to the 23 particles (atoms or molecules, depending on the substance studied). First, take the atomic mass for each element as given in the periodic table, multiply it by the number of atoms of that element in the compound, and sum the results for all elements in the compound to find its molar mass -- the number of grams in one mole of that substance. Next, divide the number of grams of solute by the molar mass of the compound to get the number of moles. Calculate the molarity of the solution. Molarity is equal to the number of moles of solute divided by the number of liters of solvent, so divide the number of moles by the number of liters of solution to find the molarity. Determine whether the solute dissociates as it dissolves. A general rule of thumb is that ionic compounds will dissociate while covalently bonded compounds will not. Multiply the molarity of the solution by the number of ions formed when a single formula unit of the compound dissociates to find the osmolarity. CaCl2, for example, would dissociate in water to form three ions, while NaCl would form two. Consequently, a 1-molar solution of CaCl2 is a 3-osmolar solution, while a 1-molar solution of NaCl would be a 2-osmolar solution. Determine which solutes can diffuse across the membrane and which cannot. As a general rule, urea and dissolved gases such as O2 and CO2 can diffuse across cell membranes, while glucose or ions in solution cannot. The tonicity is the same as the osmolarity except that it only measures solutes that cannot diffuse across the membrane. 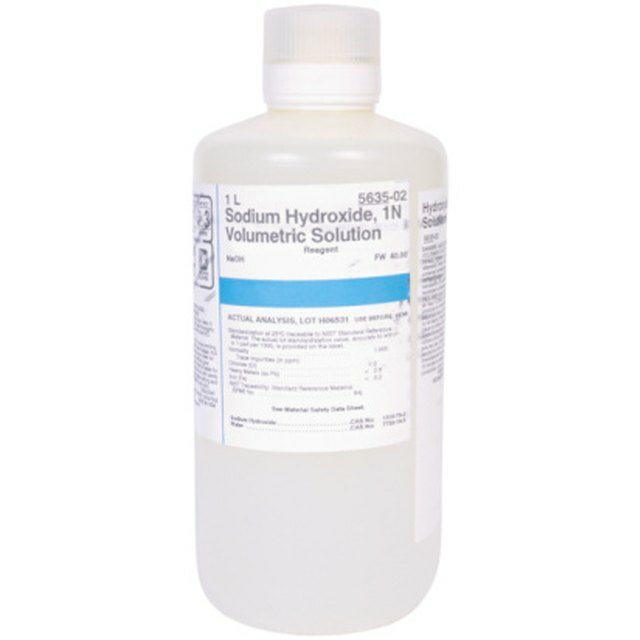 For example, if a solution has a 300-milliosmolar concentration of sodium chloride and a 100-milliosmolar concentration of urea, we would exclude the urea since it can diffuse across the cell membrane, so the solution would be 300-milliosmolar for purposes of tonicity. Decide whether the solution is isotonic, hypertonic or hypotonic. An isotonic solution has the same tonicity on both sides of the membrane. The cells in your body have a 300 milliosmolar concentration of non-penetrating solutes, so they are isotonic to their environment as long as the interstitial fluid has a similar concentration. A hypertonic solution would be one where the solute concentration is greater outside the cell, while a hypotonic solution has a smaller concentration of solutes relative to the inside of the cell. If you've ever wondered why hospitals infuse saline solution to replace blood loss rather than pure water, the answer lies in the tonicity of the blood plasma relative to the inside of your cells. Pure water has no dissolved solutes, so if the hospital were to add pure water directly to your bloodstream, it would be hypotonic to (less concentrated than) your red blood cells. Water would gradually diffuse into your red blood cells and cause them to swell until they burst. Hospitals use saline solution instead because it is isotonic with respect to your cells. "Biology, a Custom Edition"; Campbell, Reece, Urry, Cain, Wasserman, Minorsky, Jackson; 2008. Brennan, John. " How to Calculate Isotonicity." Sciencing, https://sciencing.com/calculate-isotonicity-6815115.html. 13 March 2018.